Salad is healthy because it is often made of fresh vegetables and/or fruits. Toss in dressing or sauce, to enhance the taste. Add meat, fish, or cheese, to create a full flavor. Salad is an appetizer. The small salad without meat served in restaurant is called a dinner salad. The word ‘salad' is ‘salade' in French, which have the same meaning; and comes from Latin ‘salata', which means ‘salty'. 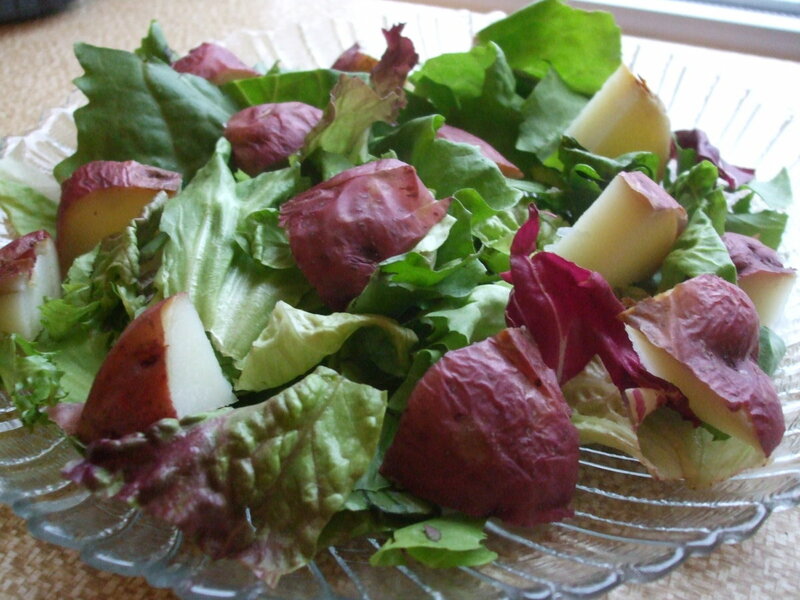 A garden salad or green salad is made of leafy vegetables; such as, lettuce, spinach, or arugula. The world's largest salad has been created in Almeria, Spain on September 29, 2007. It is a mixture of lettuce, tomato, onion, pepper, and olives (over-all weight of 6,700 kilograms); and prepared in a container with 18 meters long and 4.8 meters wide. 20 cooks supervised the giant salad for over 3 hours. Salad can be enjoyed in a thousand different ways. This collection of salad recipes is just a prelude to an exciting and colorful gastronomic adventure. Boil potatoes in enough amount of water in a covered pan over medium heat. Simmer for 12-14 minutes or until tender. Drain and set aside to cool. Slice eggs in half and remove the yolks. Only the whites are needed. Cut the egg whites in ½-inch size. In a bowl, blend well together mayonnaise, vinegar, sugar, mustard, salt and pepper. Fold in potatoes, egg whites, onion, celery, green onions, red pepper, and parsley. Toss to coat evenly. Cover and chill in the refrigerator before serving. The all-time favorite potato salad is heart-friendly. 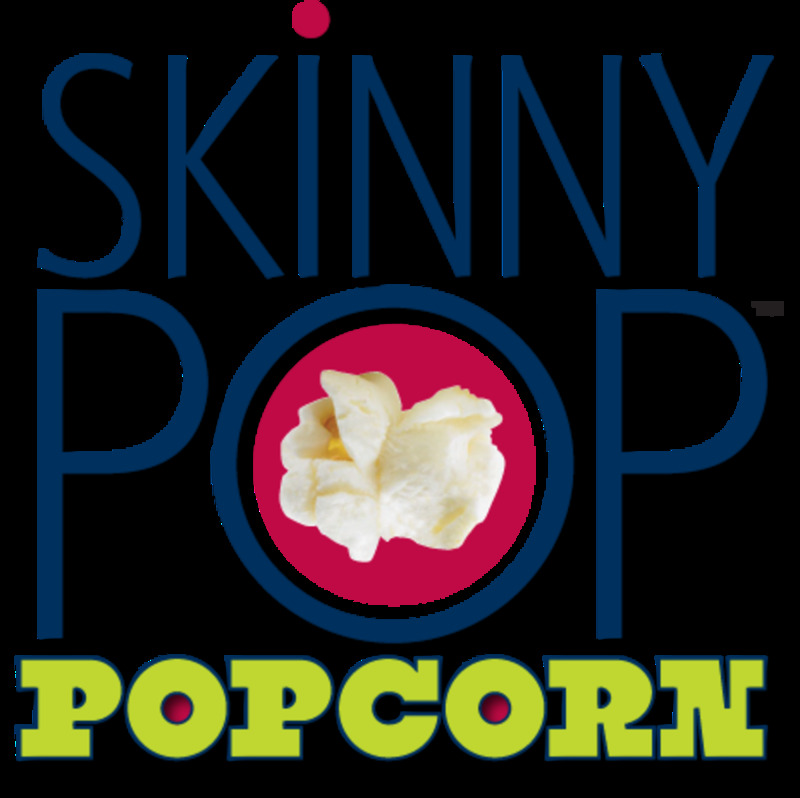 Colorful and crunchy! Yields 10 servings. A family recipe that's a sure winner on the dining table. Yields 8 servings. Boil potatoes in water until cooked. Drain and set aside. In a non-stick saucepan, mix together the sugar, flour, mustard and pinch of salt. Blend together egg, water and vinegar, before stirring into sugar-flour mixture in the saucepan. Cook and stir over medium heat for 2 minutes. Remove from heat. Set aside to cool a little; then mix in mayonnaise. 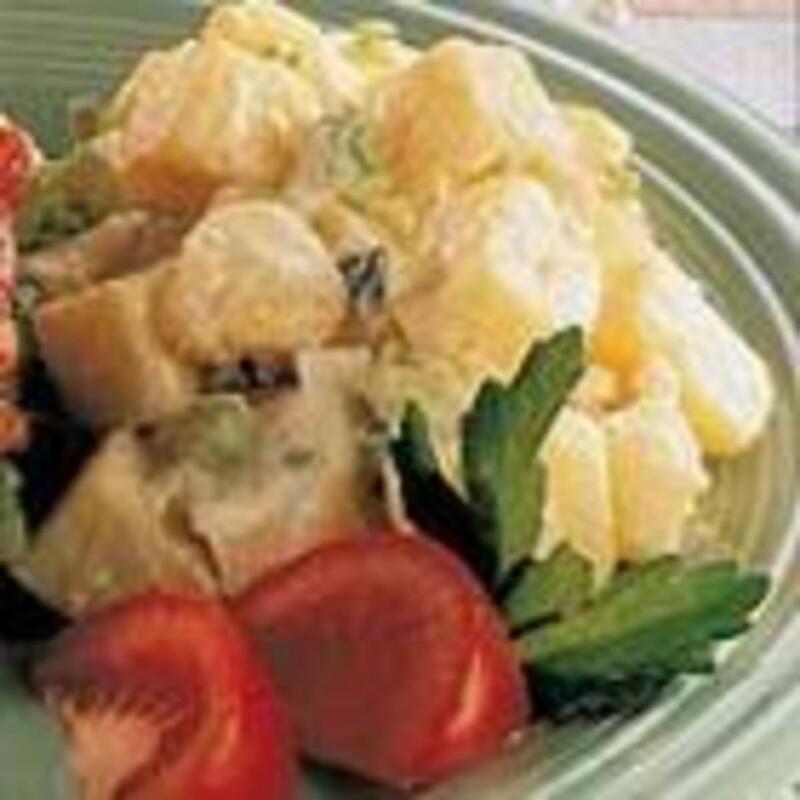 In a bowl, combine potatoes, hard-boiled eggs, celery, onions, salt and pepper to taste. Pour dressing on top and gently toss, until coated. In a bowl, combine together celery, cauliflower, tomatoes, carrots, cucumber and onion rings. In a large glass jar with an air-tight lid, mix together all the ingredients for dressing by shaking the jar vigorously. Pour dressing over the vegetables and toss to coat. Cover and chill in the refrigerator before serving. A crunchy garden salad with a light dressing to bring ut the fresh flavor of vegetables. Yields 12 servings. A salad full of color and crispy sweetness! Yields 8 servings. 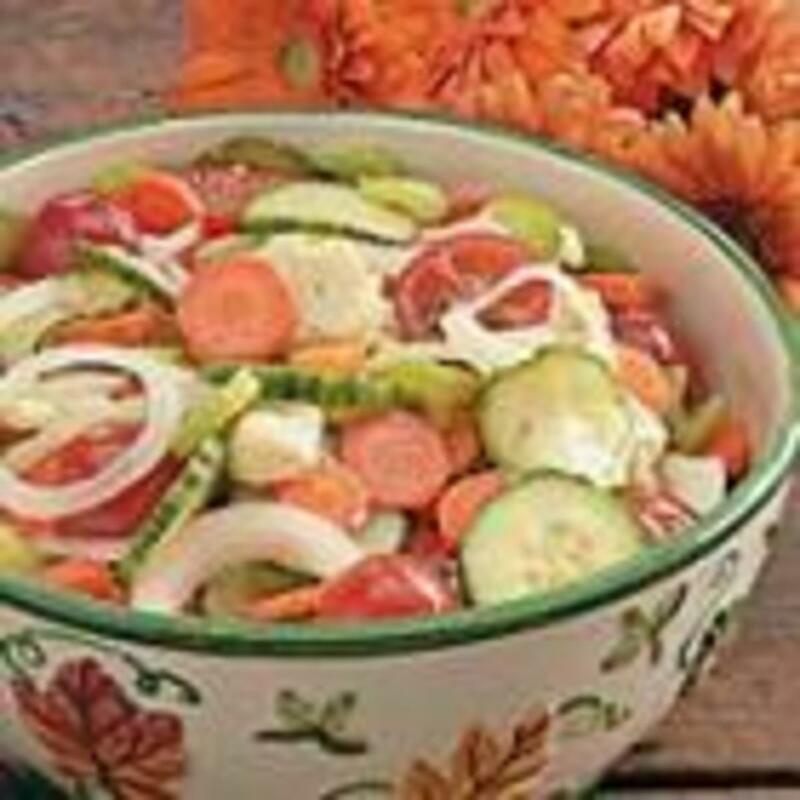 Boil the mixed vegetables on the stove or in microwave oven. Do not over-cook. Crisp-tender is desired. Drain and set aside. 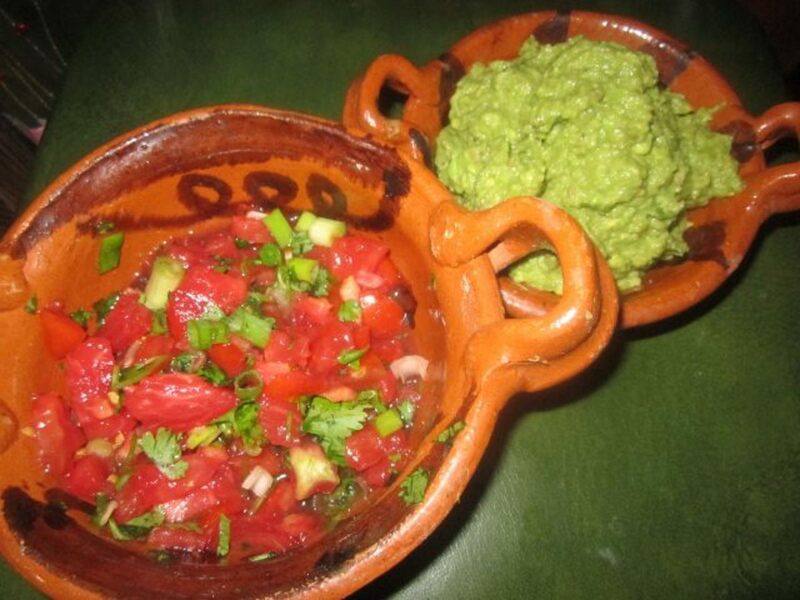 In a bowl, combine together kidney beans, celery, onion, and green bell pepper. Add the mixed vegetables. In a small saucepan over medium heat, dissolve sugar and cornstarch in vinegar. Cook and stir until the dressing thickens. Remove from heat and cool. Pour dressing over vegetables and toss to coat. Chill before serving. A salad for all seasons! Add the fruits and vegetables that you desire, and top with feta cheese. Yields 4 servings. In a bowl, beat the olive oil, white wine vinegar, mustard, salt, pepper, sugar, parsley, lemon juice, and garlic. Stir in avocado cubes. Chill. Before serving, add chilled mixed salad greens to avocado mixture and toss to coat. Garnish sliced almonds and feta cheese on top. Season cucumbers with salt. Set aside for 15 minutes, then drain. Toss in onion, vinegar and pepper. Cover and chill. Before serving: drizzle sour cream on top. 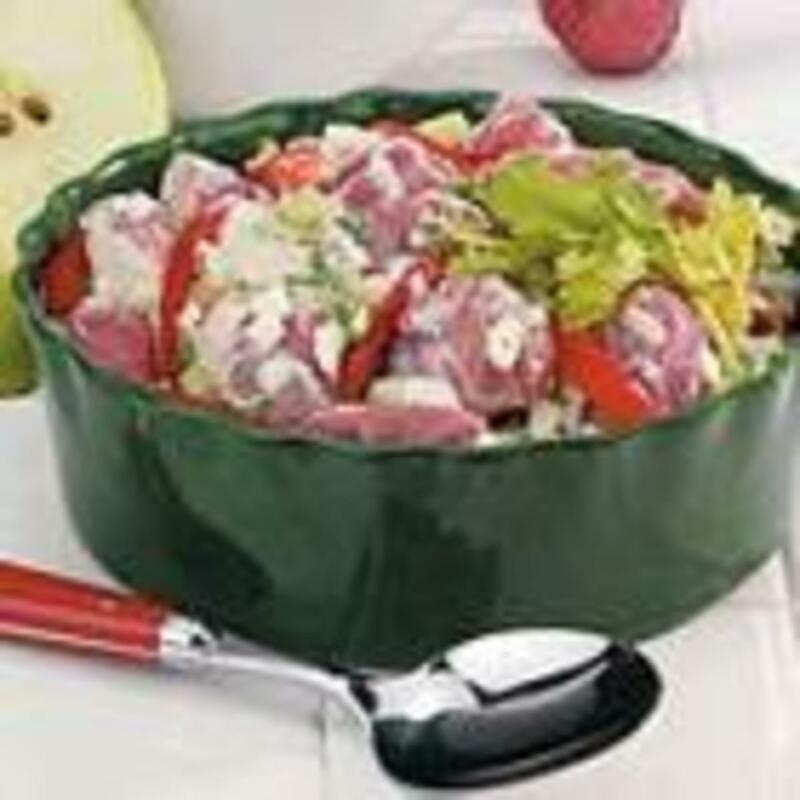 The fresh cucumber and the sour cream combination create a great tasting salad. Yields 6 servings. 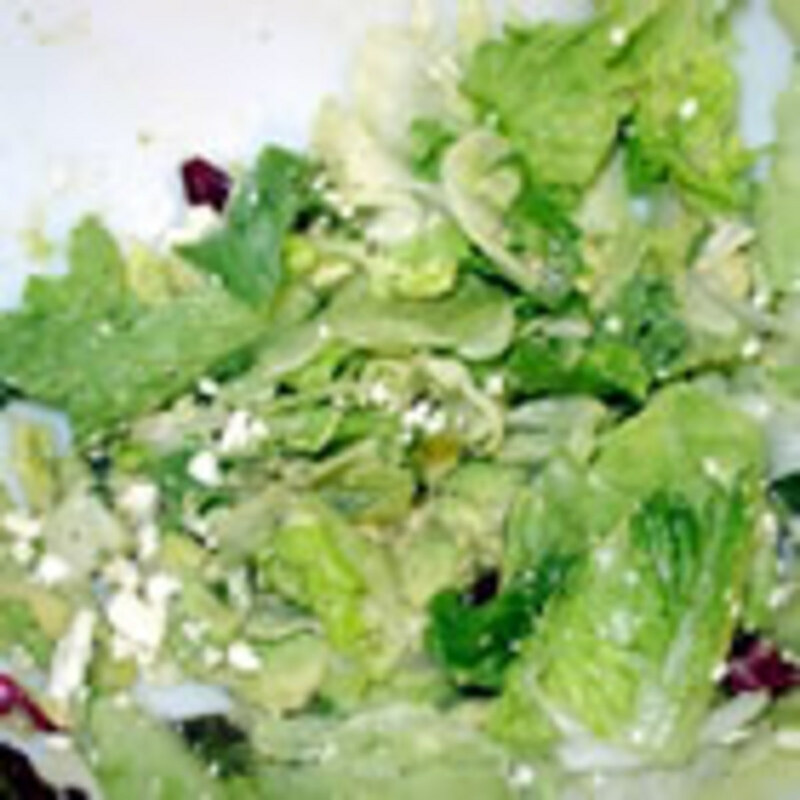 In a large bowl, combine together the Swiss cheese, feta cheese, Parmesan cheese, pecans and lettuce. In a small bowl, beat oil, vinegar, Italian seasoning, and pepper. Pour dressing to salad and toss until well coated. Chill before serving. A perfect partner to any grilled meat! Yields 6 servings. 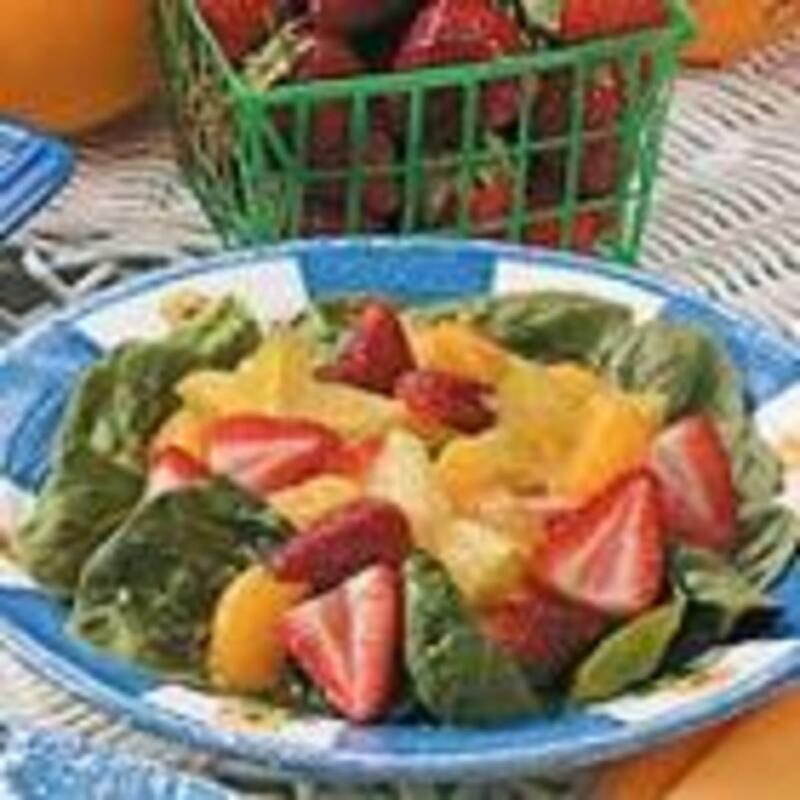 Divide spinach and assorted fruits on 12 salad plates. Cover and chill. In a glass jar with air-tight lid, combine together all the ingredients for dressing. Shake vigorously, until mixed well. 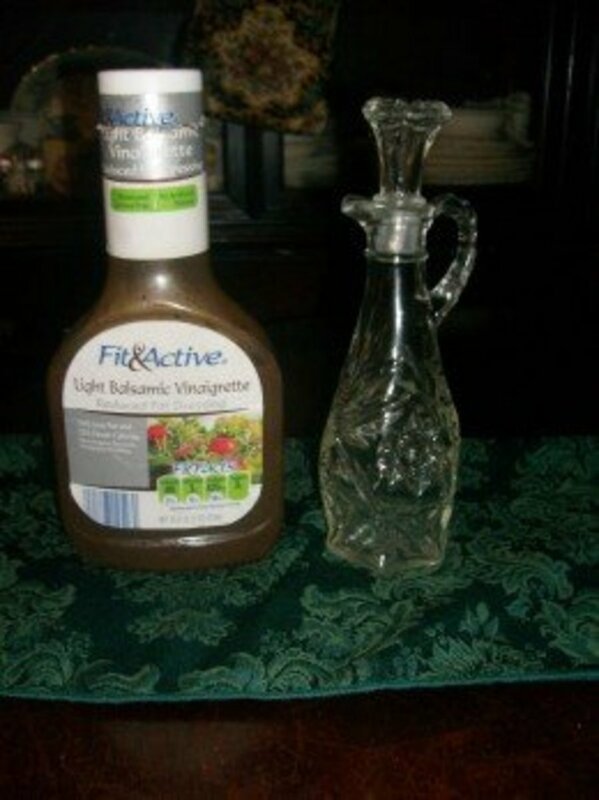 Before serving: drizzle dressing on salad. A delightful salad flavored with ginger accents! Yields 12 servings. 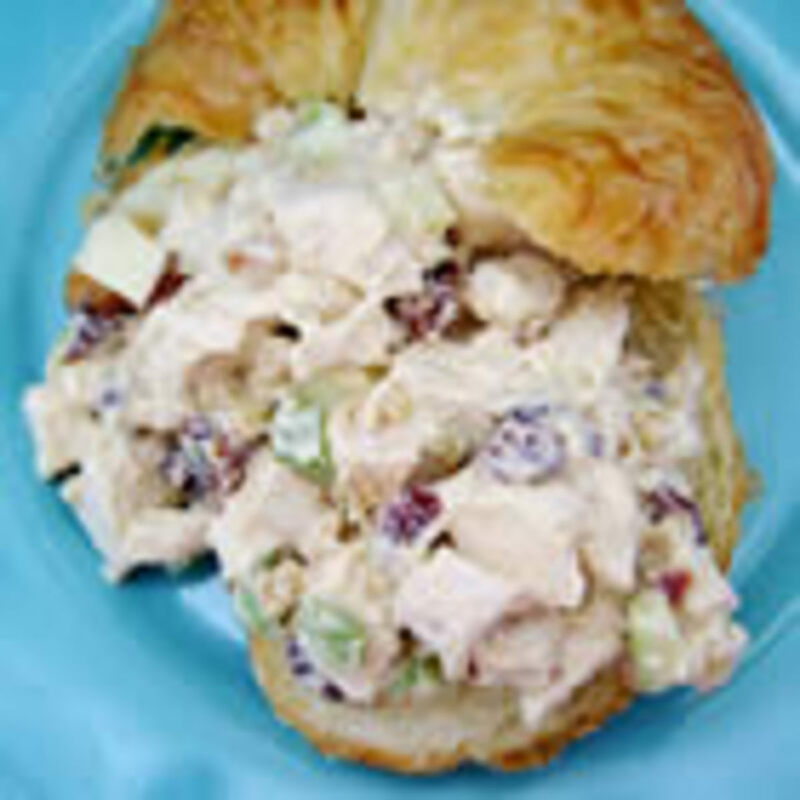 Cherries give a delicious tang to this simple chicken salad. Yields 4 servings. In a large bowl, combine together chicken, cherries, celery, nuts, mayonnaise, buttermilk, salt, pepper, and apple. Toss well to coat evenly. Cover and chill. Serve with toasted wheat bread or croissants. 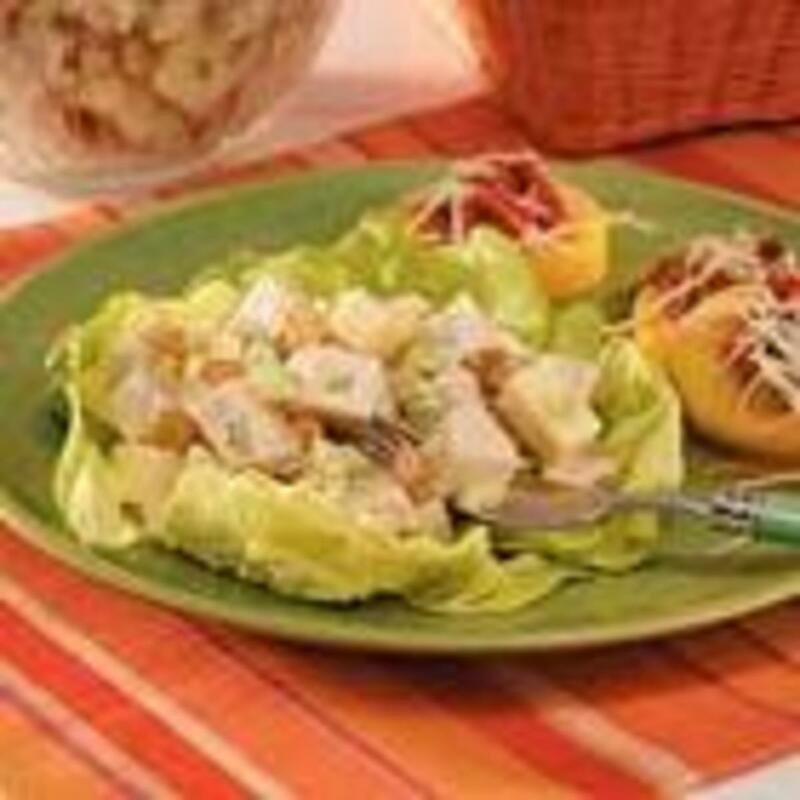 In a large bowl, combine together turkey, celery, raisins, cheese, and onion. In a small bowl, mix well together mayonnaise, chutney, ginger, and pepper. Pour dressing over turkey salad and toss well. Cover and chill. Serve on a lettuce-lined plate. A cheesy and chunky salad! Yields 4 servings. Pineapple always creates sweet and tangy salads. Yields 2 servings. In a large Teflon pan, sauté ginger and garlic in 1 teaspoon of canola oil. Stir-fry turkey for 8 to 10 minutes; or until meat is no longer pink. Remove turkey from pan but keep warm. Add the 1 tablespoon canola oil to pan. Stir-fry cauliflower for 3 minutes. Add red bell pepper and onion, stir-fry for 1 minute more. Slice pineapple into two. Carefully scrape the flesh with the use of small knife and spoon. 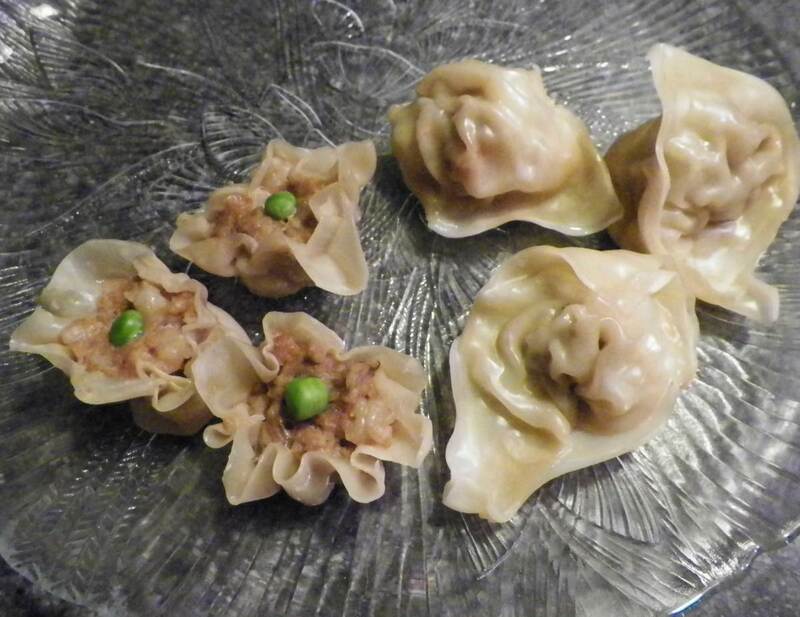 Set aside the shells inside the refrigerator. Cut pineapple flesh into cubes. Refrigerate 1-½ cups of pineapple cubes for future use. 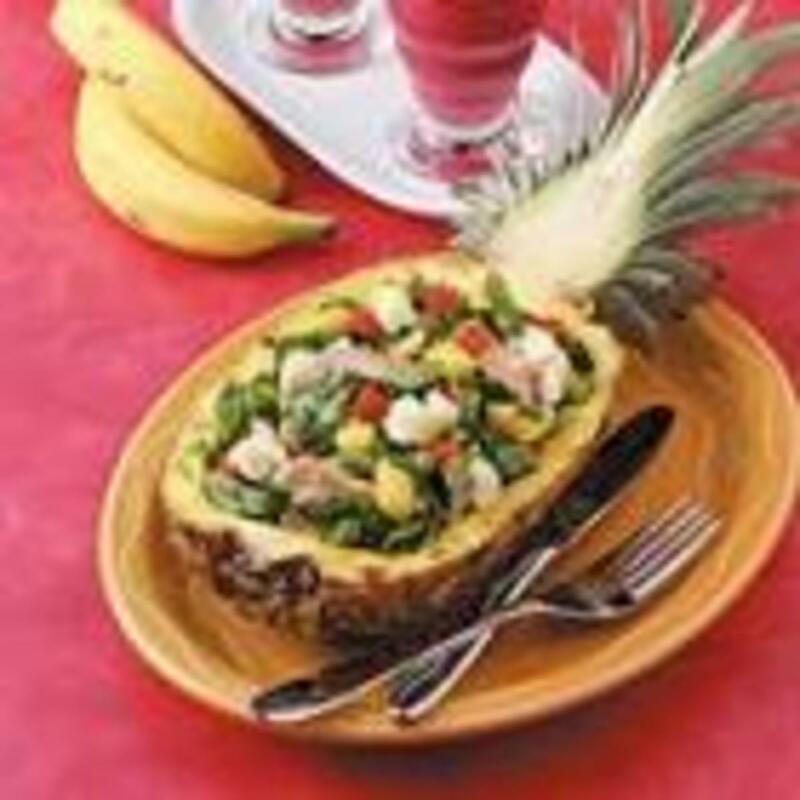 In a large bowl, combine together turkey, vegetables, spinach, and pineapple cubes. In a small bowl, beat apricot nectar, vinegar and pepper. Pour over turkey salad and toss well. Scoop into pineapple shells to serve. 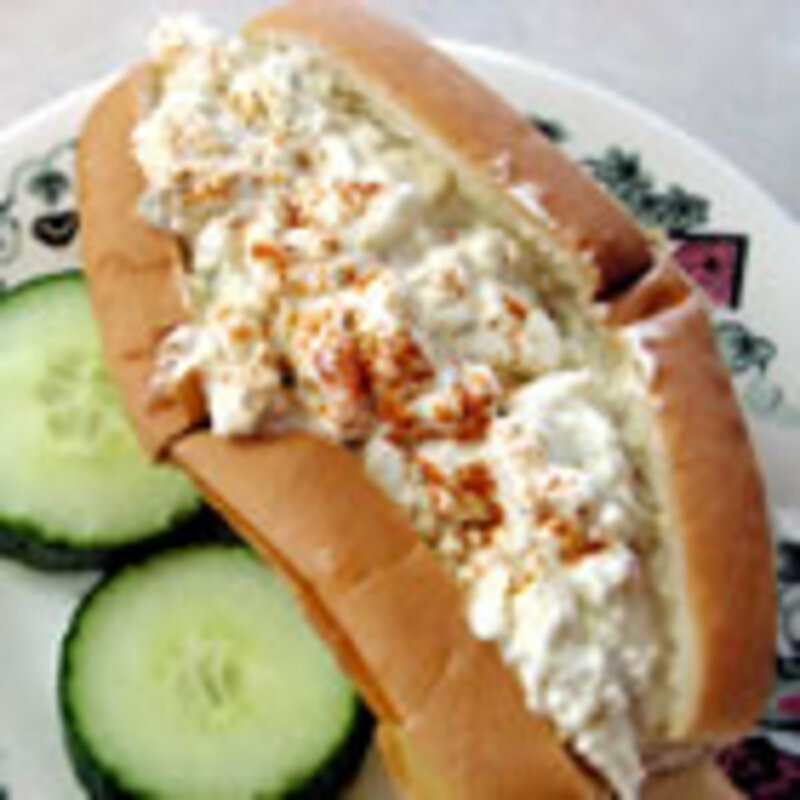 This egg salad is a delicious topping to toasted bread and a great dressing to lettuce. Yields 2 cups. In a bowl, combine together eggs, mayonnaise, pepper, and paprika. Mash the mixture with a potato masher or fork until smooth and creamy. Fold in the pimento-stuffed olives. Cover and chill. 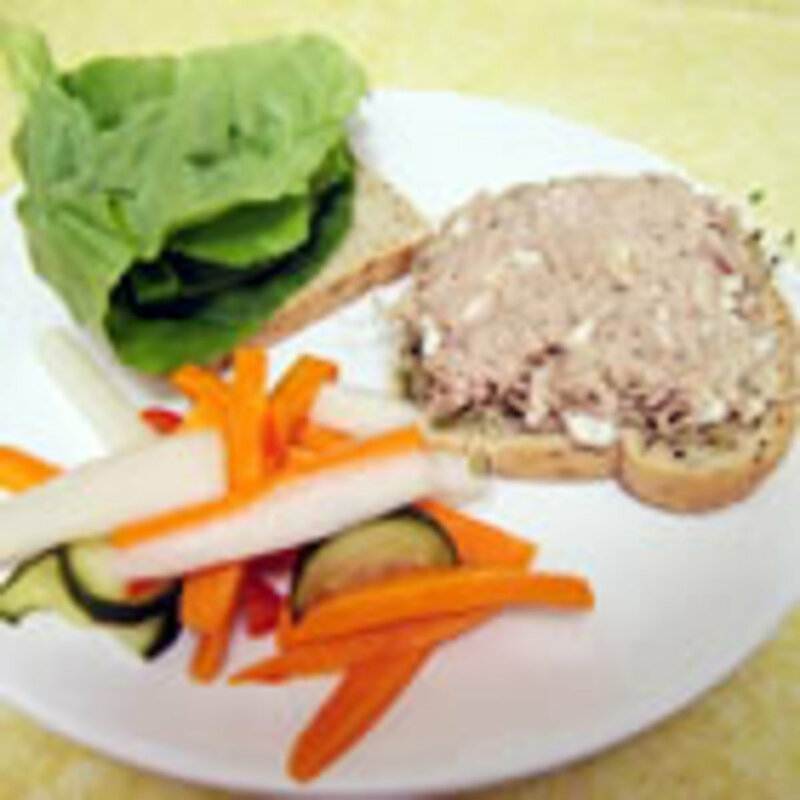 Serve on toasted bread or with lettuce leaves and sprinkle chopped celery on top for added flavor. 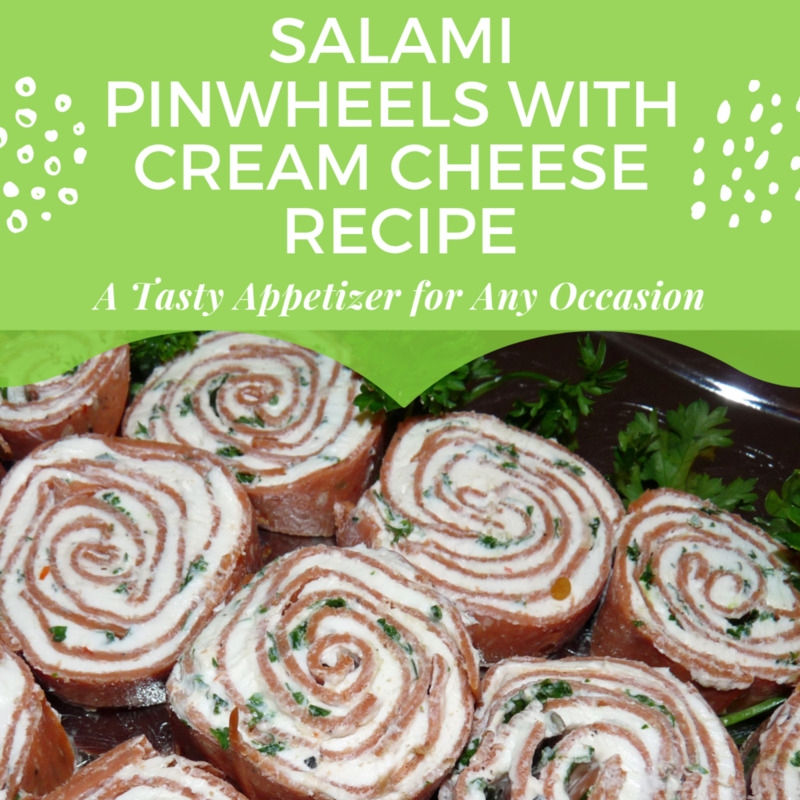 A delicious appetizer on crackers or lettuce leaf or toast! Yields 6 servings. Blend or process in food processor eggs, mayonnaise, sour cream, Worcestershire sauce, and mustard. Stir in dill, rosemary, lemon peel, salt, and pepper. Blend until smooth then transfer to a bowl. Fold in tuna. Cover and chill before serving. 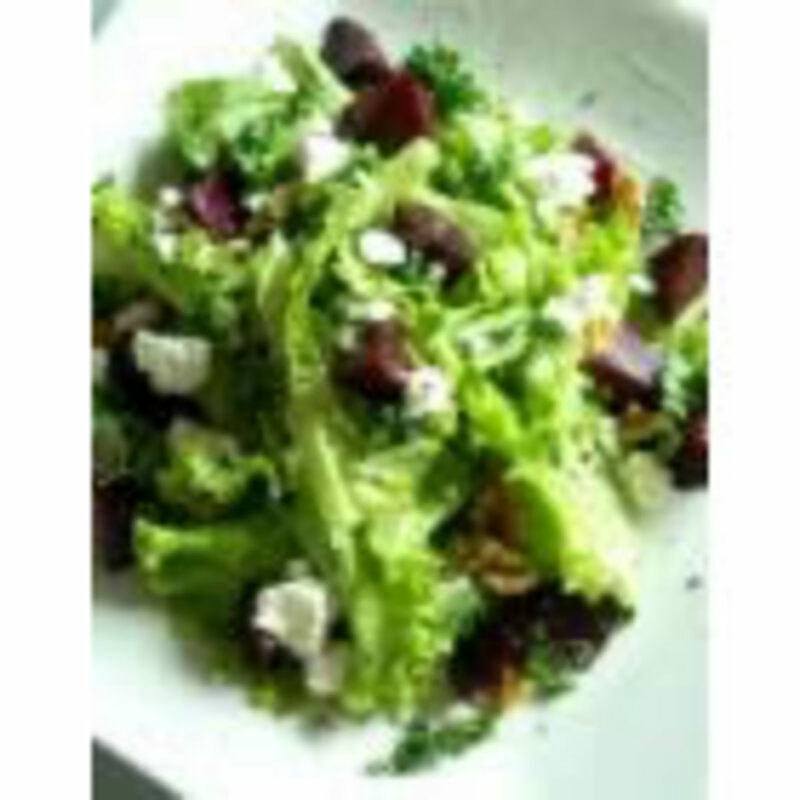 Easy to make salad with exciting blend of flavors. Yields 4 servings. 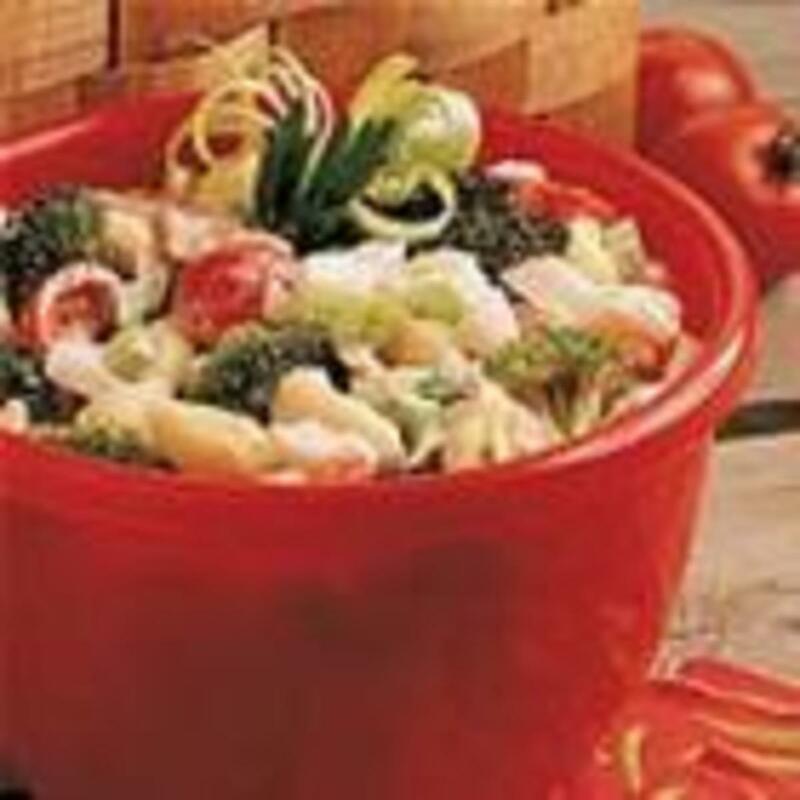 In a large bowl, combine together cooked pasta, crabmeat, broccoli, green bell pepper, tomatoes and onions. In a separate bowl, mix well together all ingredients for dressing. Pour over salad and toss to coat. Cover and chill before serving. In a bowl, combine together shrimp, chives, mayonnaise, Worcestershire sauce, chili sauce, and salt. Cover and chill. 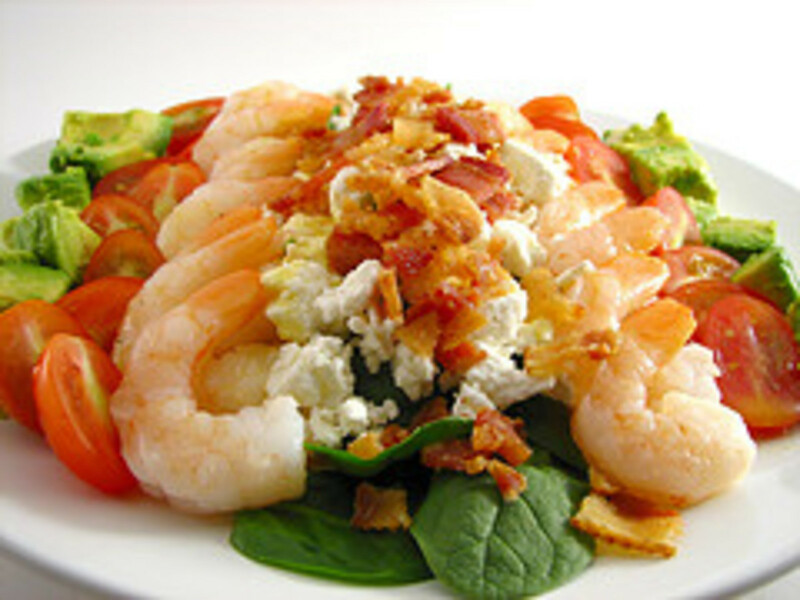 Before serving: scoop shrimp salad into avocado halves and arrange on Bibb lettuce leaves sprinkled with paprika. Garnish with pimento strips. 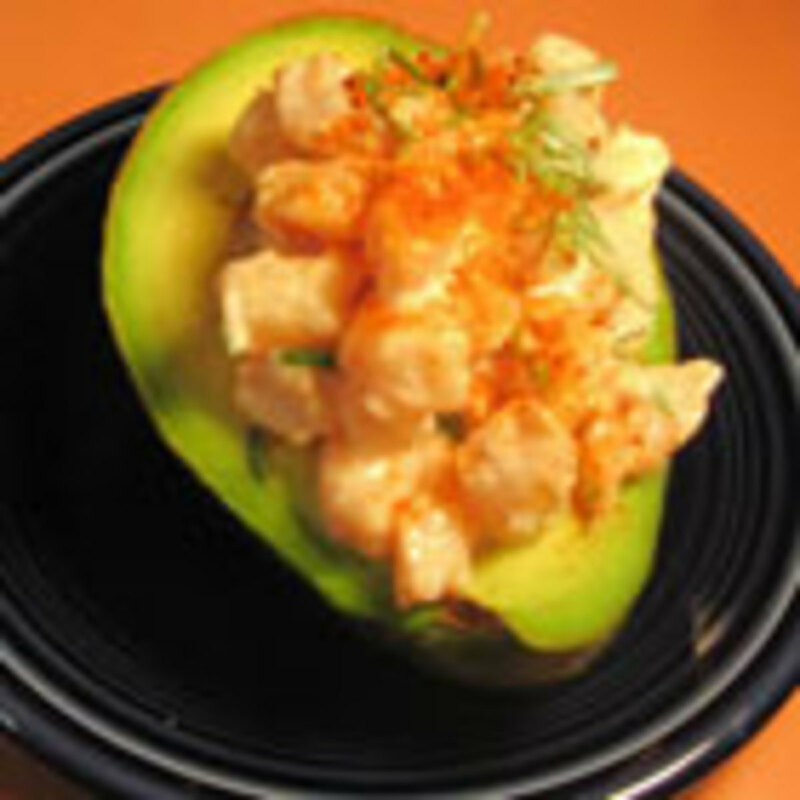 Shrimp and avocado make perfect-tasting salad. Yields 4 servings. A nice alternative to the traditional Christmas salad. Yields 12 servings. In a bowl, mix together lemon juice, garlic, parsley, salt, and pepper. Boil squid rings for 3 minutes, or until tender. Drain and set aside to cool. Combine together squid, olives, and celery. Pour lemon dressing and toss to coat. Cover and chill before serving. Pasta salad perfect on warm days. Yields 4 servings. Cook farfalle pasta, according to package direction. Drain and set aside. In a bowl, toss pasta in olive oil. Cover and chill for 30 minutes. 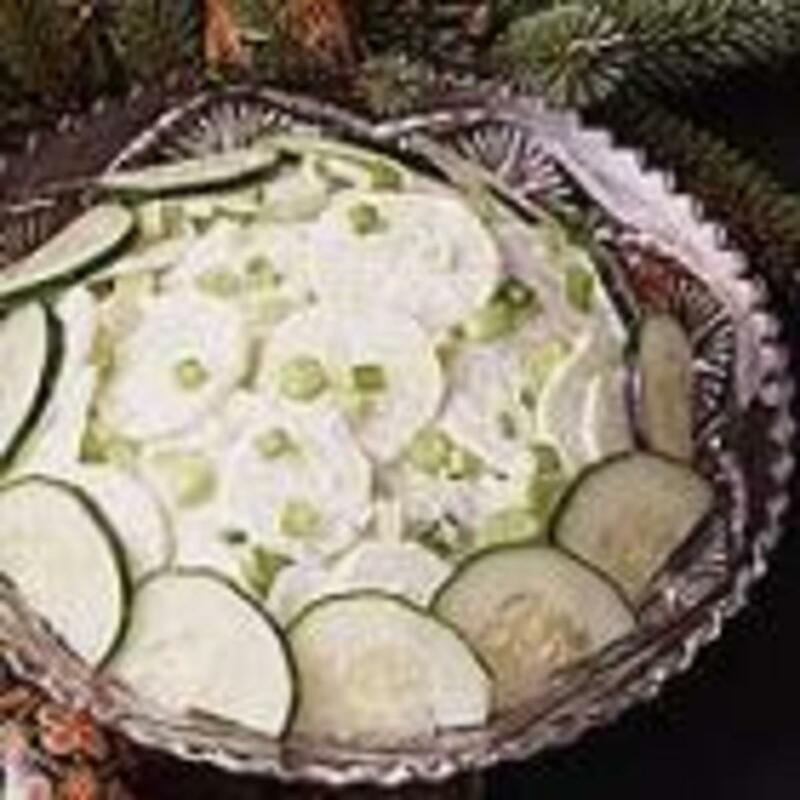 To serve: form a ring of cucumber slices on salad plates. Arrange pasta in the center. 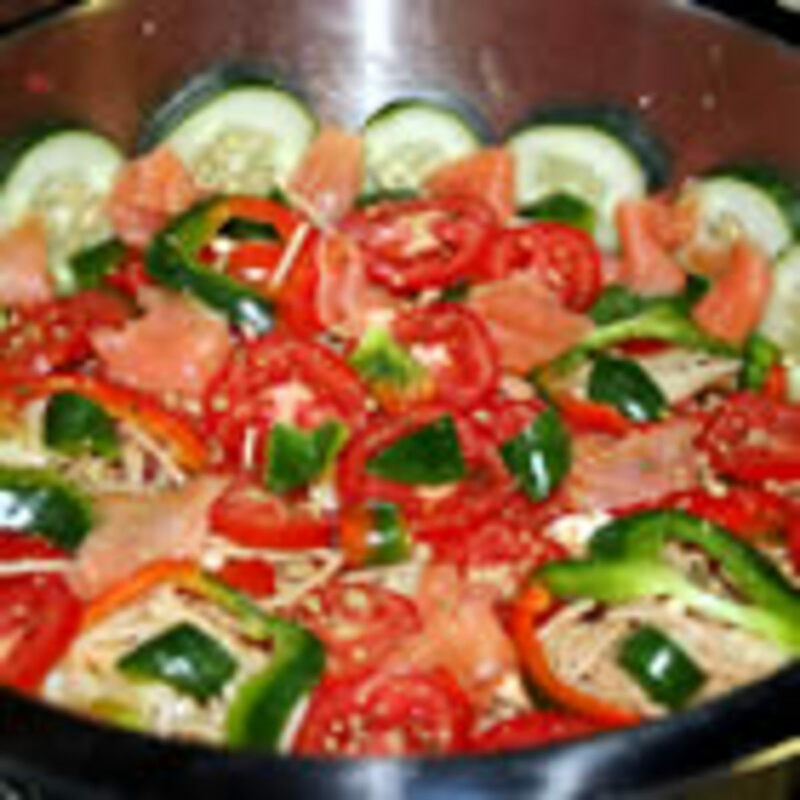 Scoop smoked salmon, tomato, and red bell pepper on top. Sprinkle salt and pepper. Drizzle salad dressing and top with Monterey Jack cheese. 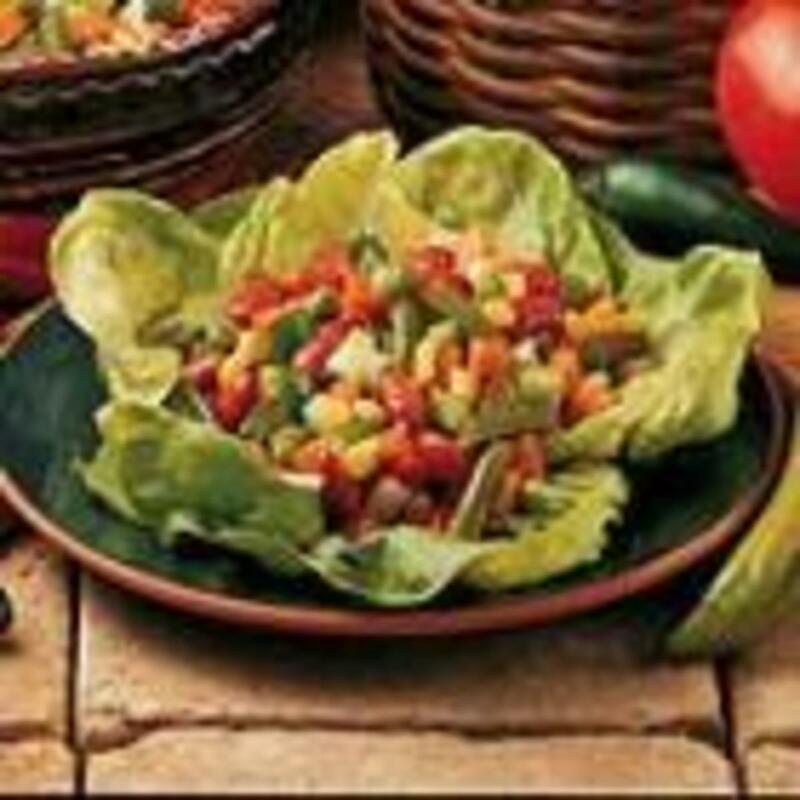 Great salad recipes. Healthy and variety too. Voted up for usefulness! Lots of ideas here......cherry chicken....sounds delicious..
We eat salads as part of a main meal in NZ.....and we are big on salads, especially in summer....which it is supposed to be now, today is cold cos yesterday was hot.....anyway I voted you.................UP! Some rally great recipes here but the one thing we have noticed is no mention of chilli. Have you tried using chilli? It doesn't have to be severe but when mixed with the olive oil and garlic it really enhances the flavors. It's been a pleasure doing this hub for you, Eileen Hughes. I love salads, too! Thank you for the great request.